The black version of the “Dakota” oxford from Drew can be tied shoe just once the way you like it. After that, use the stylish side zipper to slip in and out of the shoes with ease. It has the Drew Plus Fitting System's two layers of removable extra depth so it can accommodate custom orthotics or be adjusted for a customized fit. 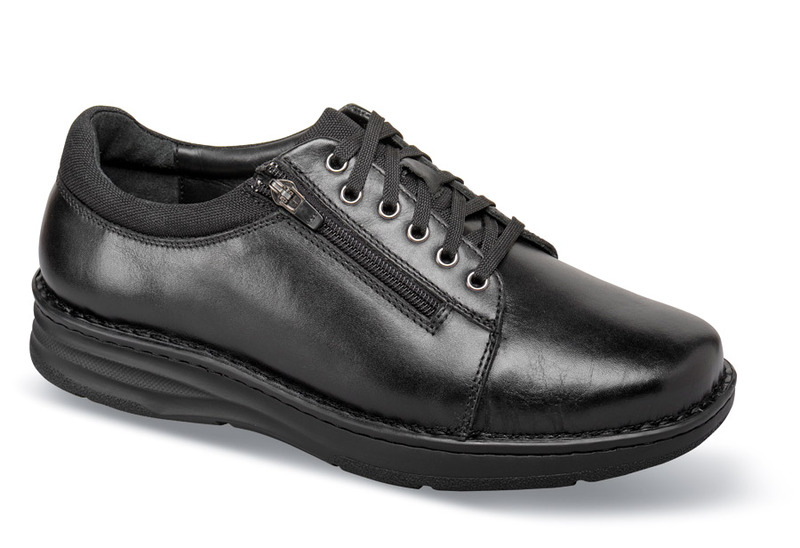 Supple leather uppers are lined with leather and Drilex®. Padded collar and tongue. 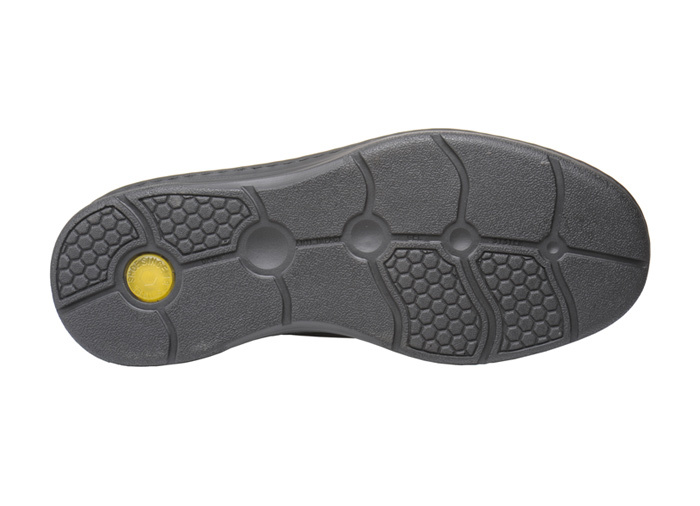 Flexible rock-bottom PU outsole. Tempered steel shank. Originally $159.95. Limited stock in men's 4E and 6E widths in sizes indicated.